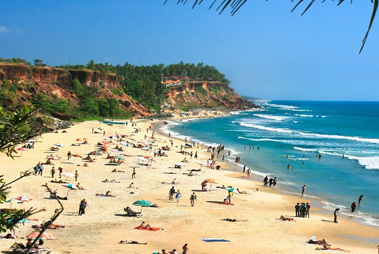 Around 3 km from the town of Varkala, spread in around 200 acres of holy land, Sivagiri Mutt is the final resting place of the most distinguished leader, saint and social reformer of Kerala, Sree Narayana Guru. Managed by SNDP (Sree Narayana Dharma Paripalana Yogam), founded by him, it works for the upliftment of backward classes. Situated on an elevated platform, the Mahasamadhi of this respected guru is visited by thousands of devotees every year. 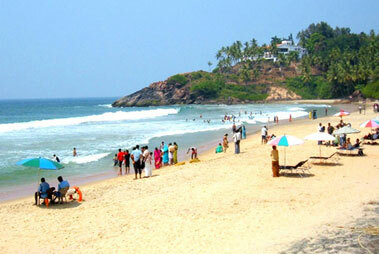 Founded way back in the year 1904, Sivagiri Mutt, placed on the top of Sivagiri hill, close to Varkala. Though the Guru left the world in 1928, the Mutt till today is visited by thousands of devotees, donning yellow-colored clothes, from 30th December to 1st January, every year. 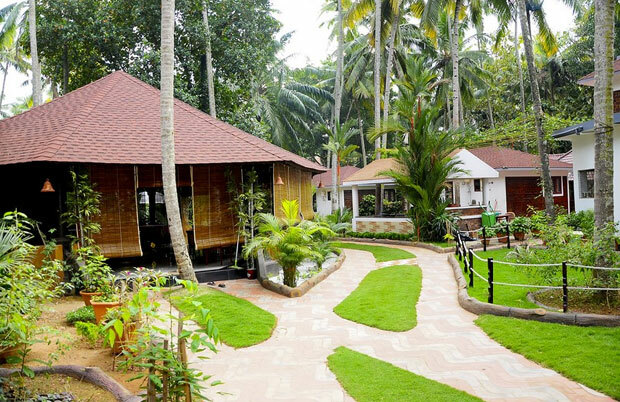 The complex also houses the residence of the Guru where the personal belongings of Guru have also been displayed. There is also a Sharda temple, octagonal in shape, whose residing deity is Goddess Saraswati. 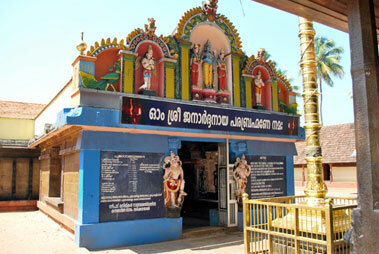 This temple was sanctified by Sree Narayana Guru himself and he named it Sarada Mutt. Guru ji’s birthday (August) and Samadhi (September) day of the Guru hold a lot of importance in the Mutt.theoccasion of Gurudeva Jayanti, debates, processions, public meetings, seminar and shows are organized here, attended by thousands of devotees. 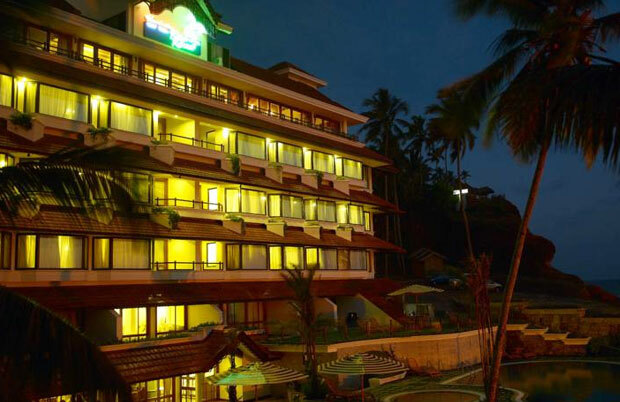 For experiencing the true magic of the town of Varkala, the Akhil Beach Resort is an ideal place to . . . Read More.. 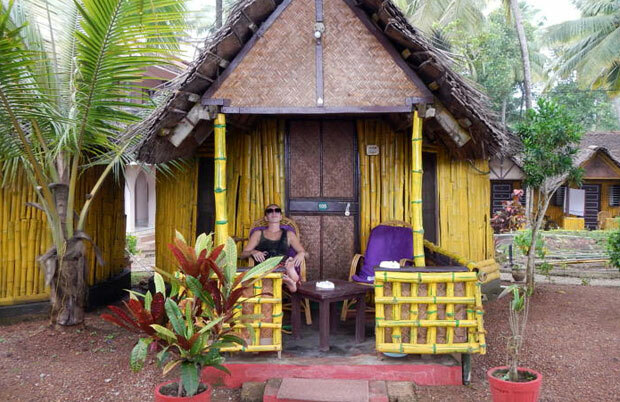 Located upon the cliff, the Bamboo Village is a pure holiday resort which is made for providing a . . . Read More..
Hindustan Beach Retreat is a hotel which is a totally perfect place for all the vacation travelers . . . Read More..